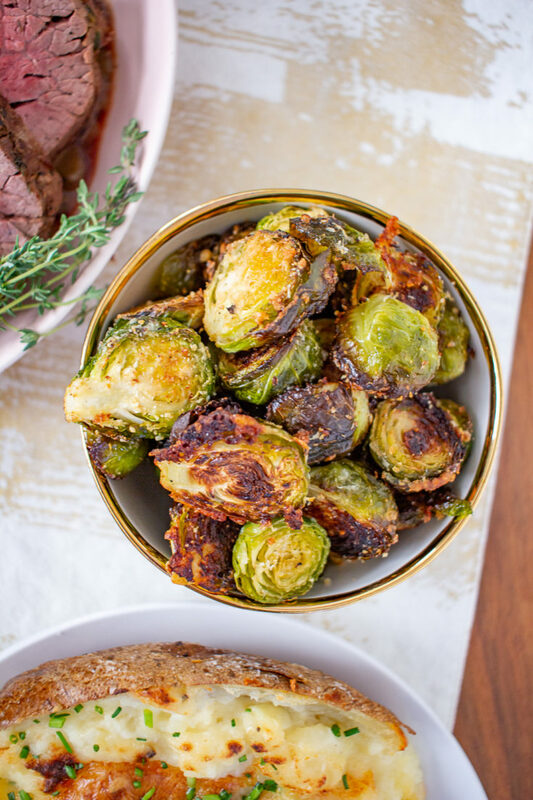 These Garlic Parmesan Roasted Brussels Sprouts are a fuss-free vegetable side dish that can be made with just moments of active preparation time. 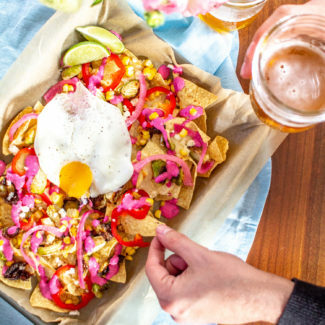 This is a delicious addition to your dinner plate. 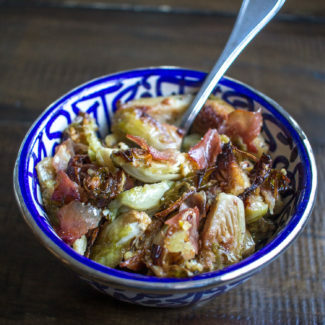 This recipe works as a simple weeknight side dish, and it can be served with a holiday meal. 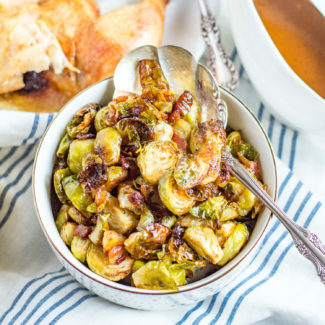 I love how the garlic adds a burst of bold flavor to these brussels sprouts and how the parmesan melts to form a crispy cheesy crust. 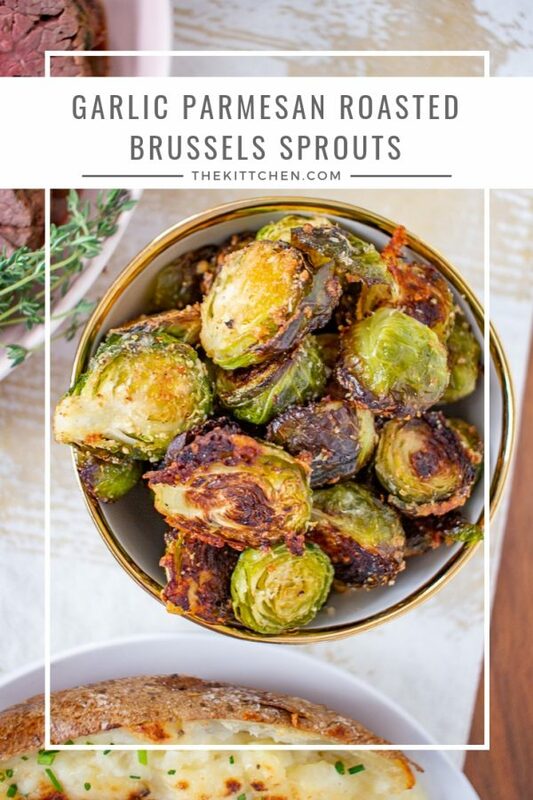 I couldn’t stop eating these, I was sneaking sprouts off the baking sheet and eating them like popcorn. 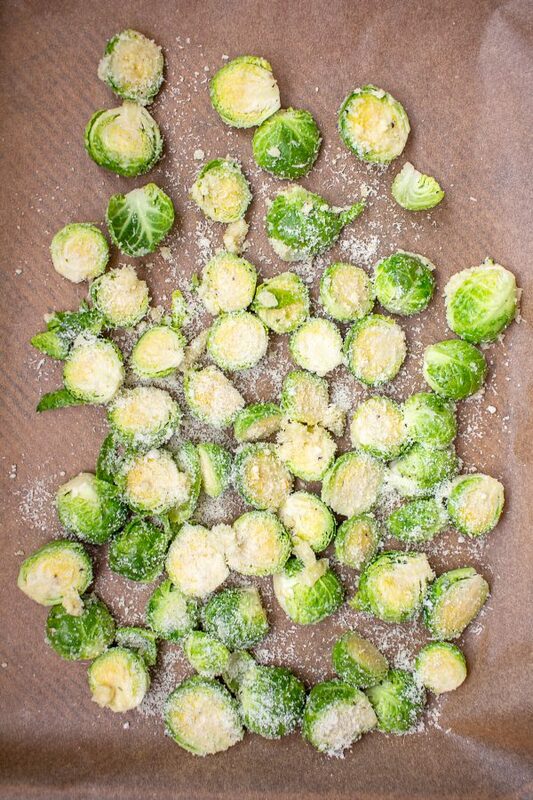 The parmesan gives the brussels sprouts extra crispiness, and the cheese goes so well with the garlic and butter. 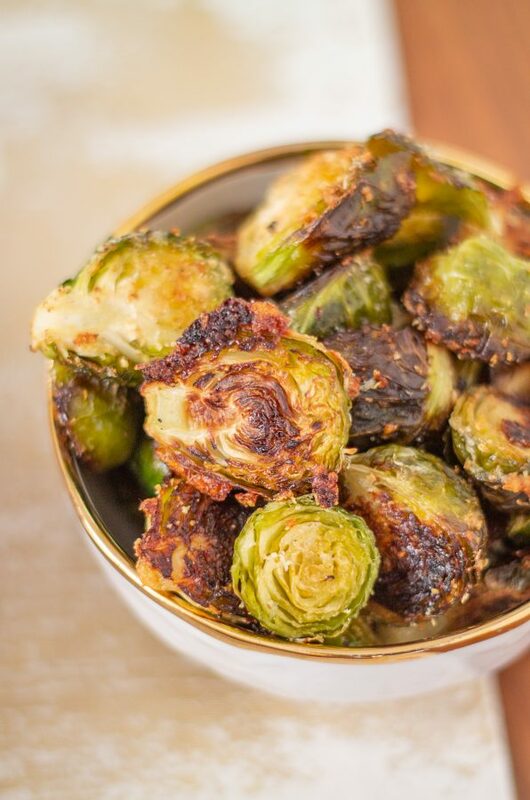 To make this recipe, you just toss halved brussels sprouts, melted butter, crushed garlic, parmesan, salt, and pepper together, and then spread out on a baking sheet. Then the brussels sprouts get roasted in the oven at 350 to 400 degrees right alongside whatever you are cooking for dinner. 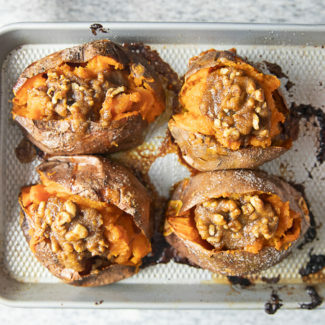 Depending on the temperature of your oven, they will be ready in 30-50 minutes. I like to line the baking sheet with parchment because it helps the brussels sprouts to cook more evenly. It also makes for easier clean up. Win win! 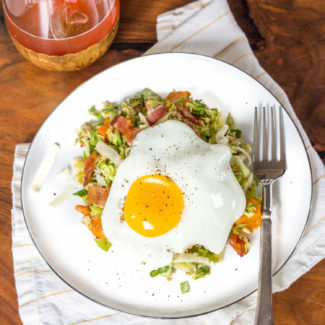 If you want to save yourself a bit of time, you may be able to purchase trimmed and sliced brussels sprouts from your grocery store. To trim brussels sprouts, you just slice off the stem and remove any outer leaves that have browned. I think you could trim a pound of brussels sprouts in 10 minutes. The other option is paying $5 for trimmed sprouts. 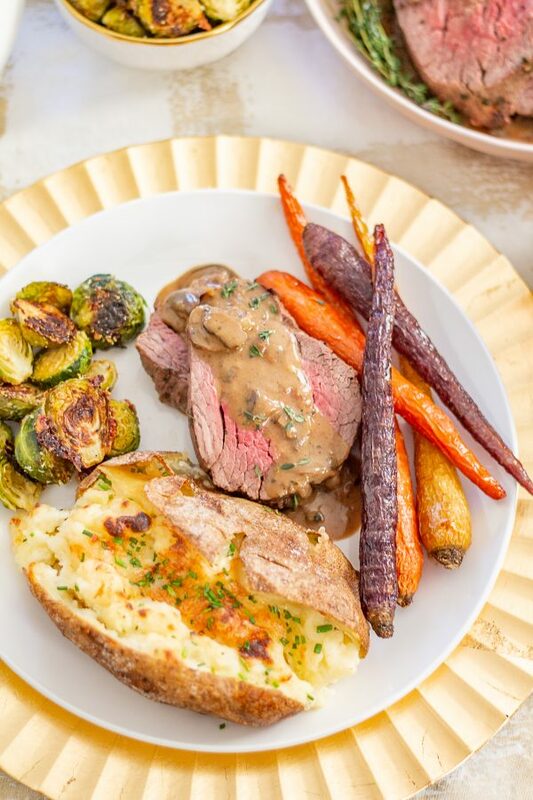 I served these Garlic Parmesan Roasted Brussels Sprouts along side Beef Tenderloin, Roasted Carrots, and Twice Baked Brie Potatoes. But they can be paired with pretty much any roast. Place the sprouts in a large bowl. Melt the butter and then pour the butter over the sprouts. Add the garlic and 2 tablespoons of parmesan. Stir to combine. 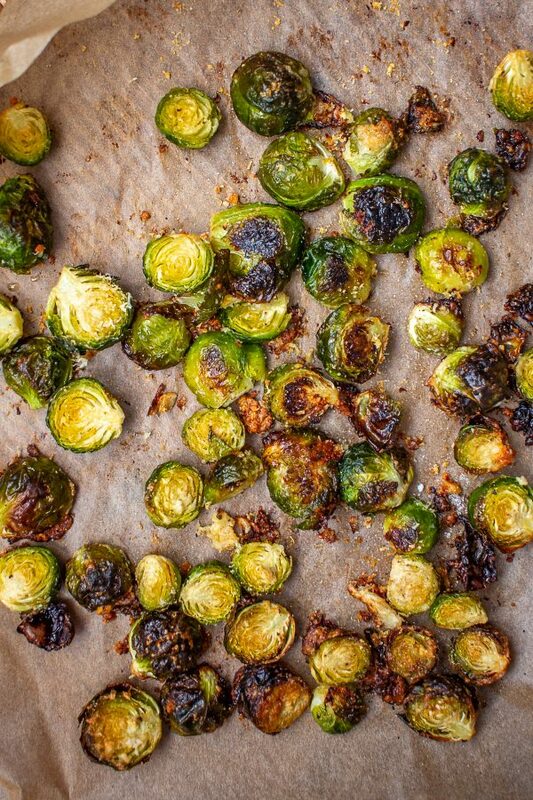 Spread the brussels sprouts out on a parchment-lined baking sheet. Then sprinkle the remaining parmesan over, and generously sprinkle with salt and pepper. 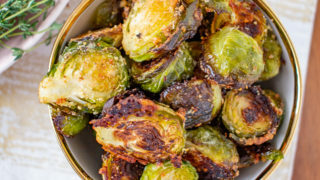 You can roast the brussels sprouts at 350-400 degrees, I am going to assume you are serving these as a side dish, so just place them in the oven alongside your meat. 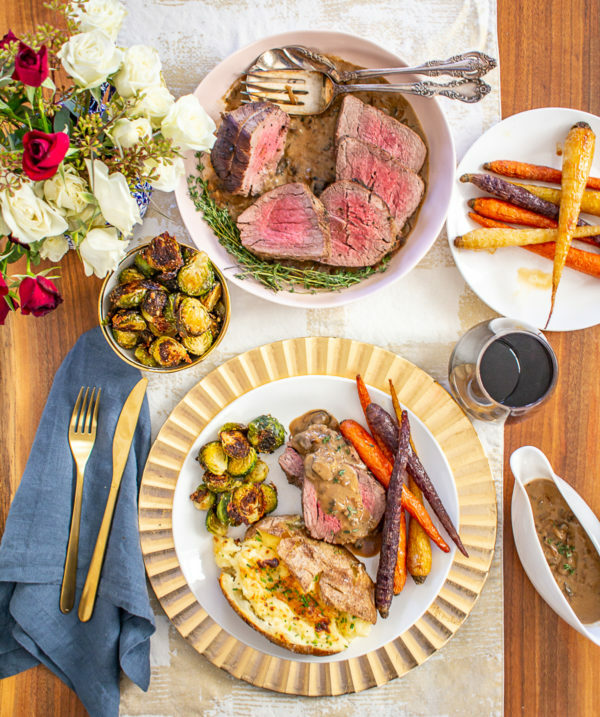 The sprouts will take 30-50 minutes to roast, the high the temperature, the faster they roast. 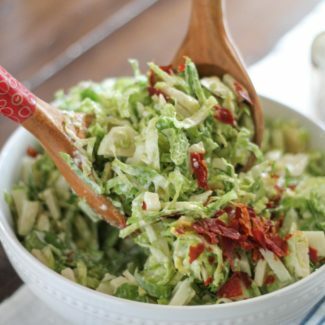 If you want, you can flip the sprouts after 20 minutes, but not absolutely essential.